Ready to Grow | Food It Yourself! With modern supermarkets offering fruits and vegetables from all over the world the question must be asked- is a backyard garden worth the effort? I answer with a resounding “yes”. Growing your own fruits and vegetables gets you involved with your food-it speaks to the core principle of the DIYet. What better way to understand how food gets from seed to spoon than by taking the journey yourself? Want more organic veggies but find them too pricy? Growing your own is a thrifty solution, especially since starting a compost system is neither difficult nor expensive. Adding home grown fruits and veggies to your DIYet lets you micromanage your food supply. You will know exactly where each leaf, pod and root come from, what was put into the soil, and what kind of pest control was used. I’ve been a backyard gardener my whole life and I’ve never needed to issue a recall for my produce. If you have never lifted a trowel there are plenty of resources on the internet. The National Gardening Association has a website with plenty of general and regional information for gardeners of all skill levels, including kids! If you can’t dig your own ground, see if there is a USDA People’s Garden near you, or consider doing volunteer work with Urban Farming. These community based gardens not only bring life to unused land they help feed the hungry. 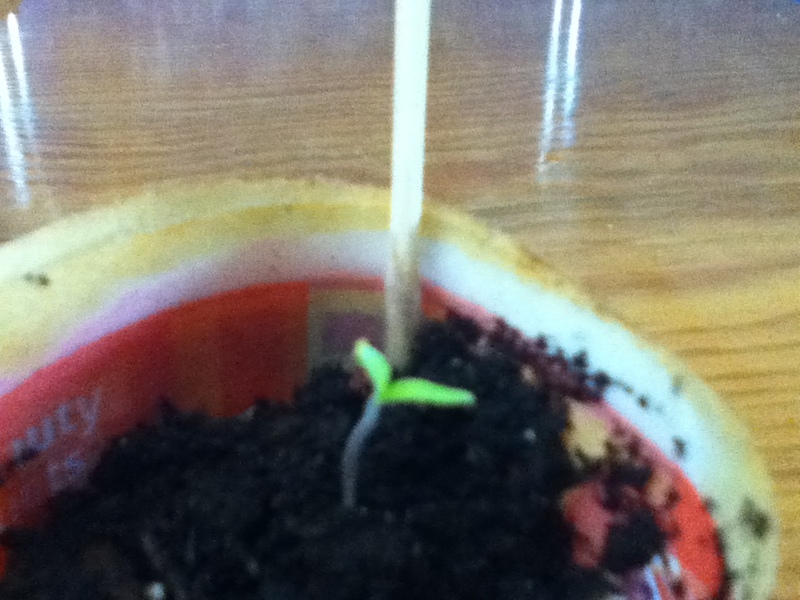 This tiny green thing is a tomato plant. We all need fruits and vegetables in our diets, and eating them right off the plant is an experience like no other, especially if you’ve grown that plant yourself. It probably won’t keep you out of the supermarket this summer, but it will get you out side and give you something to be proud of. Give it a try!